(Oct. 18, 2017) LAREDO, TEXAS - IBC Bank-Zapata Chairman of the Board Renato Ramirez played an instrumental role in making the expansion of the Harmony School of Excellence in Laredo possible. The new campus celebrated its official ribbon cutting today and houses the charter school district's high school grade levels that previously shared space with primary grade levels. 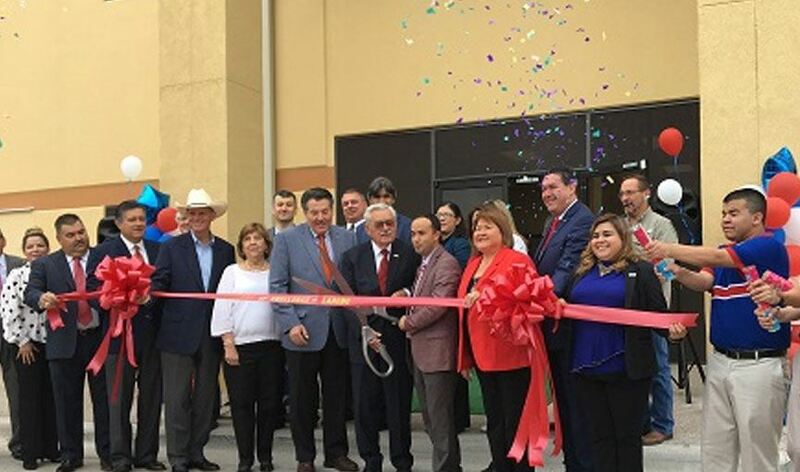 Recognizing the need for more educational choices in Laredo, Ramirez donated private funds in excess of $400,000 and worked with his counterparts at Commerce Bank, a division of IBC Bank, to finance this project. "Education is paramount in developing strong communities," said Ramirez. "I'm truly proud of my involvement with Harmony and their efforts to provide top-notch education alternatives. This new high school will educate the next generation of leaders, not only in Laredo, but throughout Texas." Establishing their Laredo campus in 2008, the Harmony School of Excellence is a tuition-free alternative to traditional public schools with a science and technology curriculum focus. Students from Harmony Public Schools have a 100 percent college acceptance rate. Annually, the Laredo campus turned away almost 600 students due to a lack of space. This new 100,000-square-foot facility will help alleviate those constraints and allow the school to accept more students. Harmony's vision is to lead students from the classroom into the world as productive and responsible citizens. "Harmony's vision aligns perfectly with IBC Bank's strong tradition of doing more for the communities we serve," Ramirez continued. "I'm humbled to be a part of an organization that will stand behind your personal passions. I'm thankful for my colleagues who assisted in bringing this campus to life."